Backtracking up the trail, we flagged a reroute on some higher ground. A couple day's work later and we had 100 yards of old trail to reclaim. Dave and I began by running a tiller to break up the compacted soil. This is important because it lets rain penetrate and provides a great substrate for seeds and plants to get established. 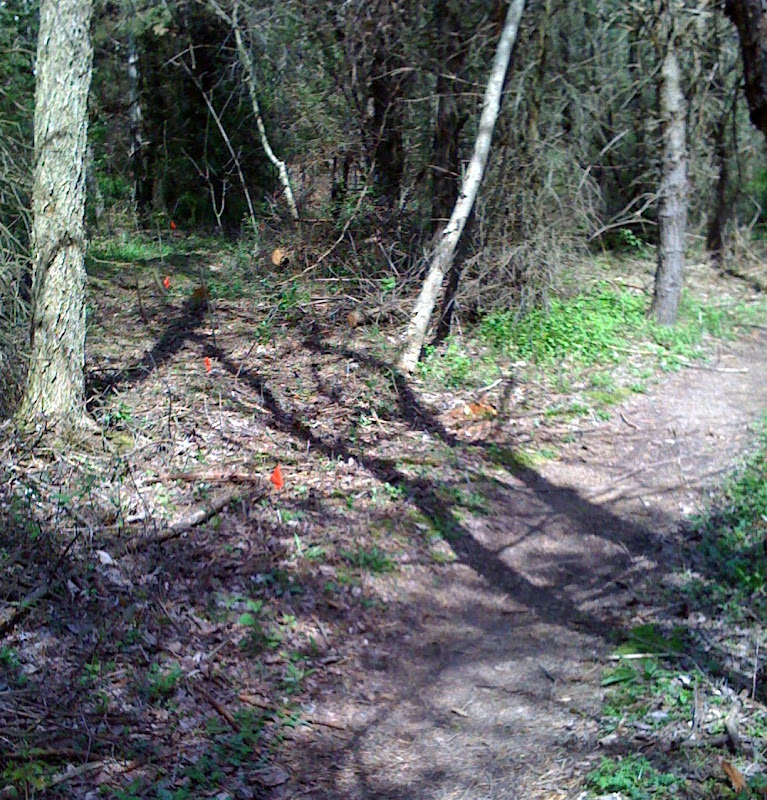 We also transplanted some small trees before duffing the trail with forest litter and branches. At the entrance, we transplanted a small pine sapling to camouflage the old trail and discourage anyone from re-opening the line. That small pine tree in the center of the photo was planted directly in the old trail bed. You can see some of the logs and branches we used to duff the trail, but already the old trail was becoming a memory. Few riders took any notice of it at all. Really the only clues that identify this as an old trail are the cut branch stubs on the tree trunks next to where the trail once passed. There's a lot of garlic mustard and other invasive plants that are all over this woods, but also a lot of small maples, beech (I think), and other desireables who will hopefully win out over time. 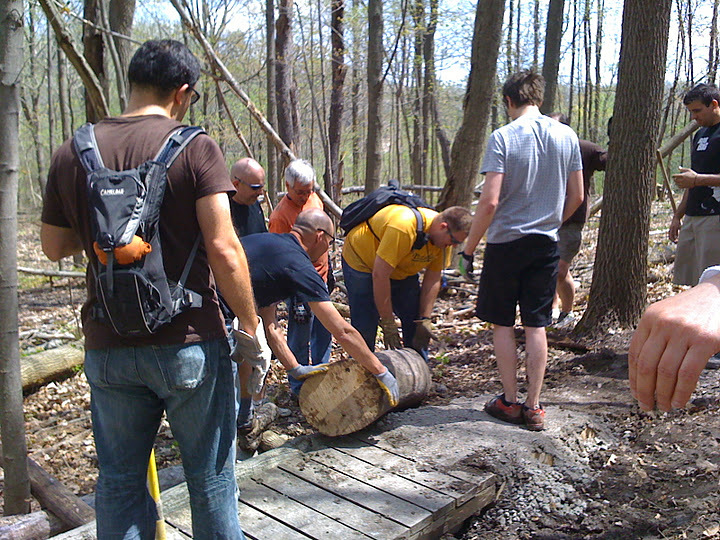 At a recent trail day at Maybury we followed the same techniques to reclaim some old abandoned trail near a wetland. Hopefully, this trail too will be lost to time over the next couple years. Join us as we wrap up a great 2016 and make plans for an exciting new year! 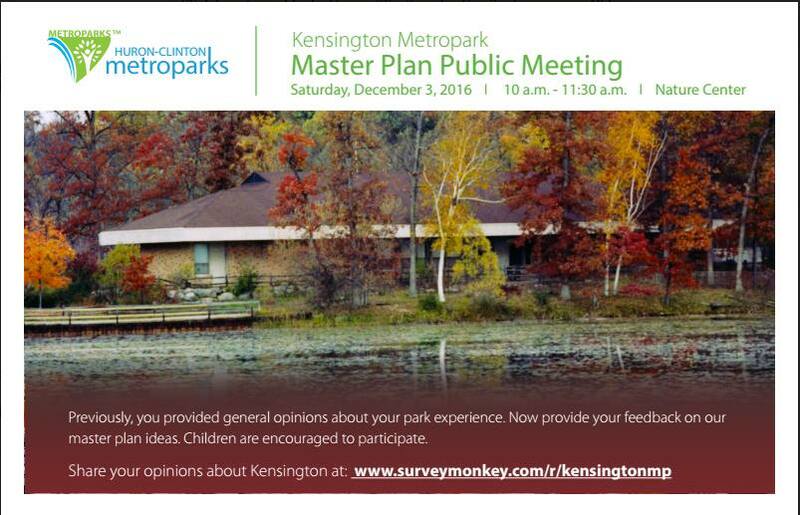 Kensington Metropark is a beautiful, 4,500 acre park centered in the heartland of MCMBA. Accessible to Milford, Island Lake, South Lyon, and Wixom via bike paths, it's a way point for many area epic rides. 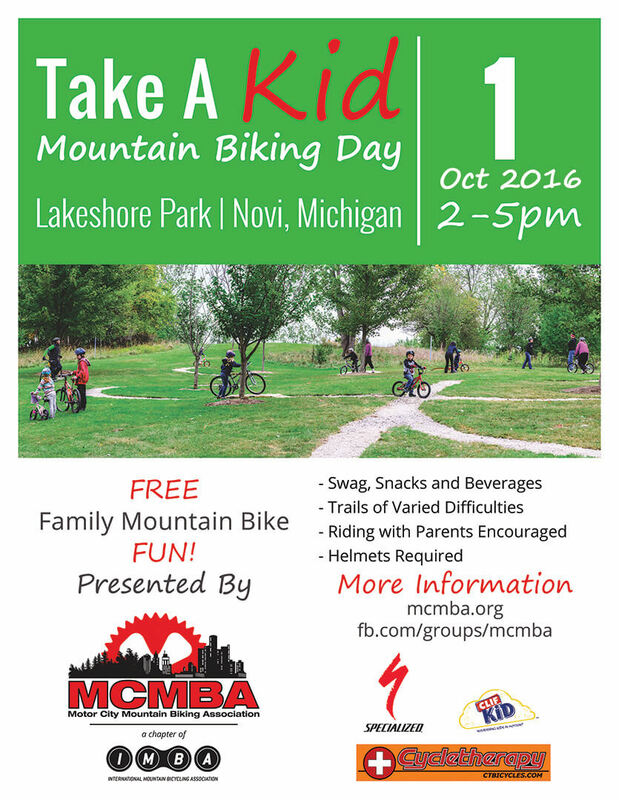 The MCMBA developed and helps maintain several miles of MTB singletrack in Kensington, the Kensington-Proud Lake Connector. Is there an opportunity for more, making Kensington an MTB destination in it's own right? Due to the early arrival of the monsoon season, we've had to cancel this event. 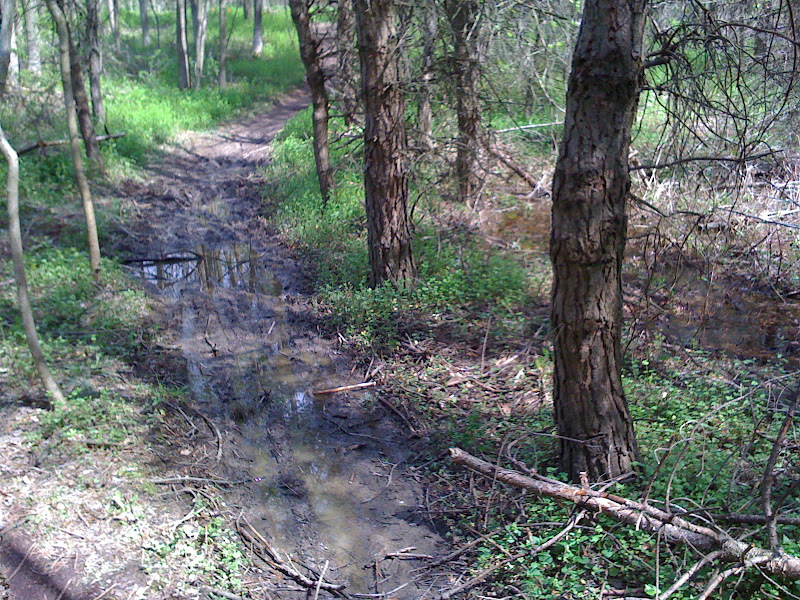 The trails are simply too wet to ride without damage to trails, bikes, and people. Watch FB for a possible make-up date in the future. Maybury Time Trial - Thanks! Thanks to all the volunteers and racers for another successful Maybury Time Trial! We had great weather, a great course, and a bigger than expected turnout! July 2016 is Relay Month! Next up: Milford Trail Challenge!